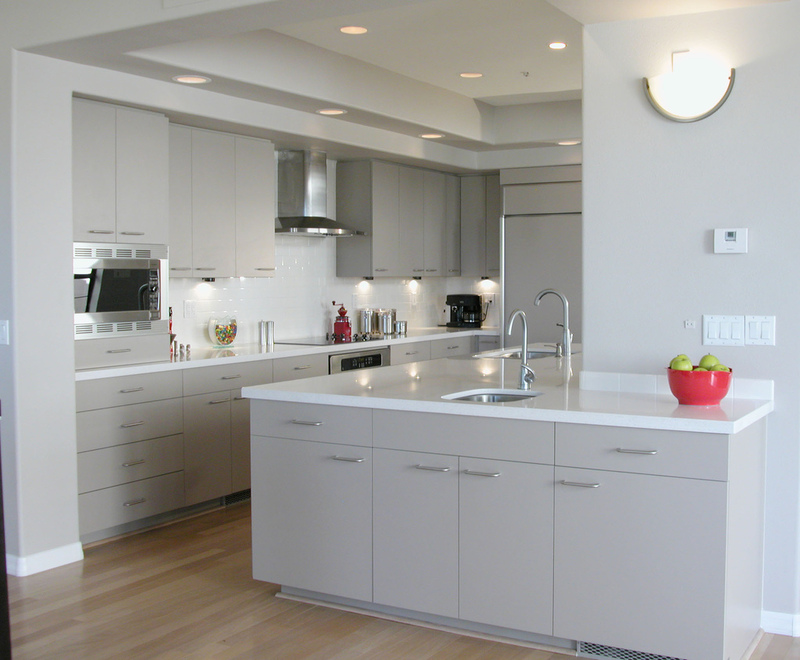 This stark white kitchen’s modern vibe doesn’t compromise on functionality. 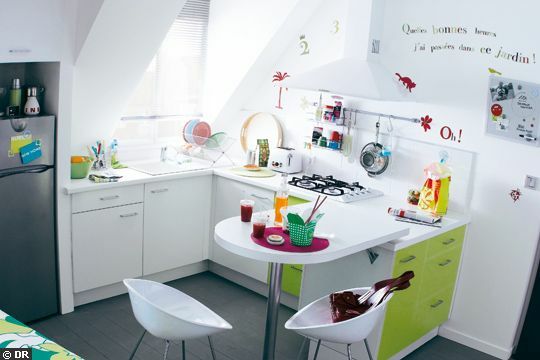 Double sinks and added storage make this kitchen perfect for a family that likes to cook together. 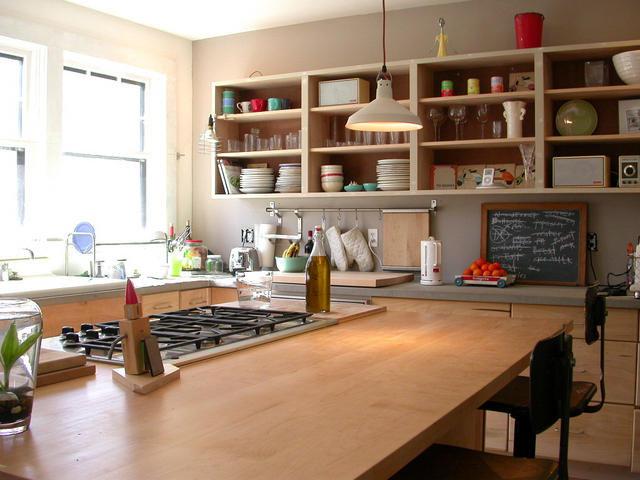 Kitchens are meant to be lived in, and this kitchen enhances its livability by incorporating an over-sized island, a chalkboard and open storage systems. The stainless steel island, glass-front refrigerator and loft-like openness of this kitchen make it easy to cook and serve your guests in style. 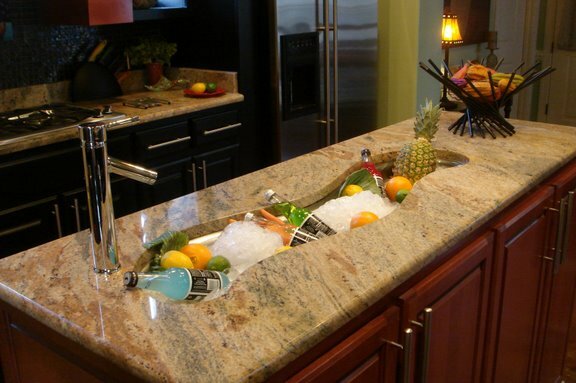 This custom island combines the handy second sink with a drink trough for parties and entertaining. 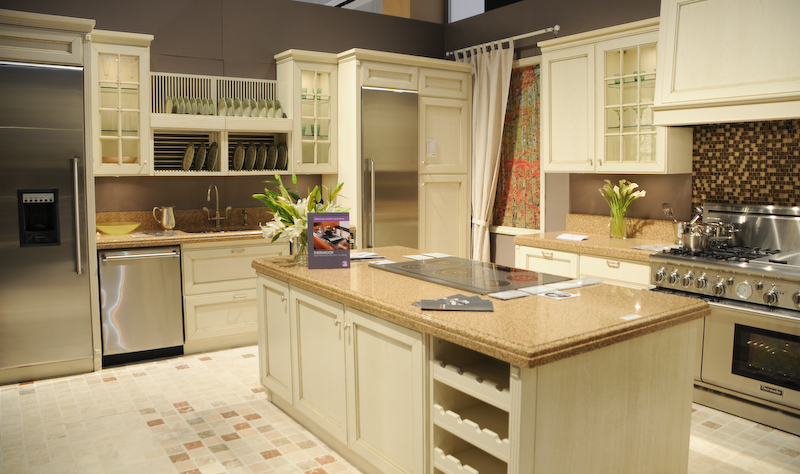 Just because you don’t have much space doesn’t mean you can’t have a functional kitchen. 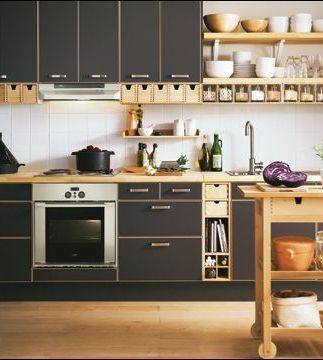 This tiny apartment kitchen uses the counter as the kitchen table and maximizes storage with a wall-mounted pot rack. Modern design doesn’t require matching woods. This sleek kitchen incorporates two dark woods in the cabinetry and floors, but uses lighter woods at the wine bar to separate the space. 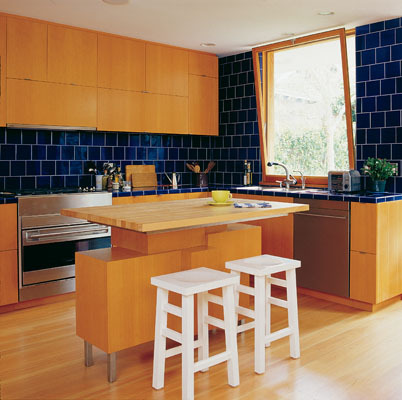 This kitchen spices up an otherwise plain palette with a blue glass backsplash in over-sized tile. When combined with the extra cabinet space provided by ceiling-height cabinets, the result is head-turning functionality and style. 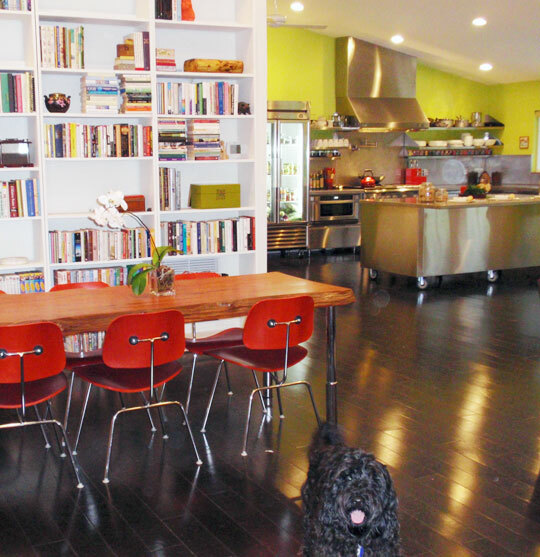 A well-designed space can satisfy even the most avid cook. This kitchen includes an island cooktop, commercial range, two full-sized refrigerators and extra vertical storage for dishes. 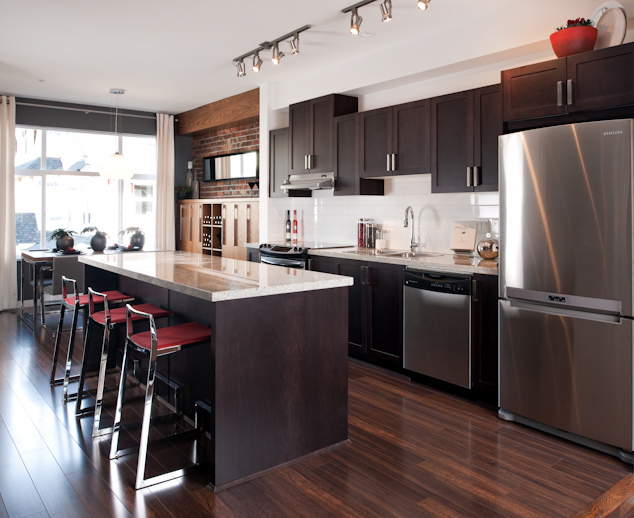 Black cabinets, stainless steel appliances and sleek hardware are all modern kitchen trends, but the open shelving systems, wood storage and butcher block counters soften up the vibe and bring it down to earth. Cooking doesn’t just take place inside. 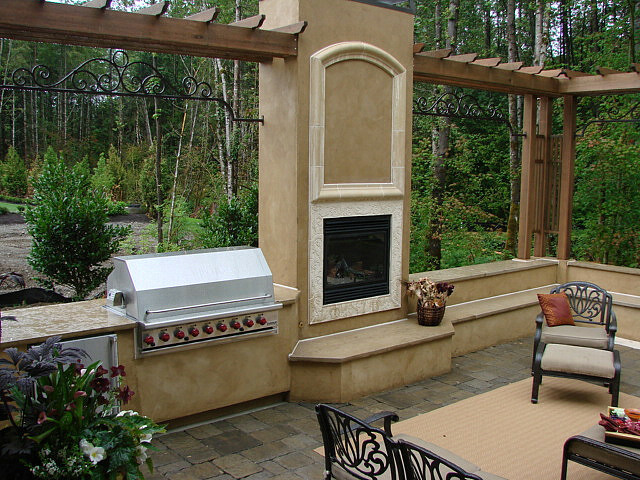 If you live in a warm climate, you can create a functional outdoor kitchen with a food prep area, ample seating and a built-in barbecue.